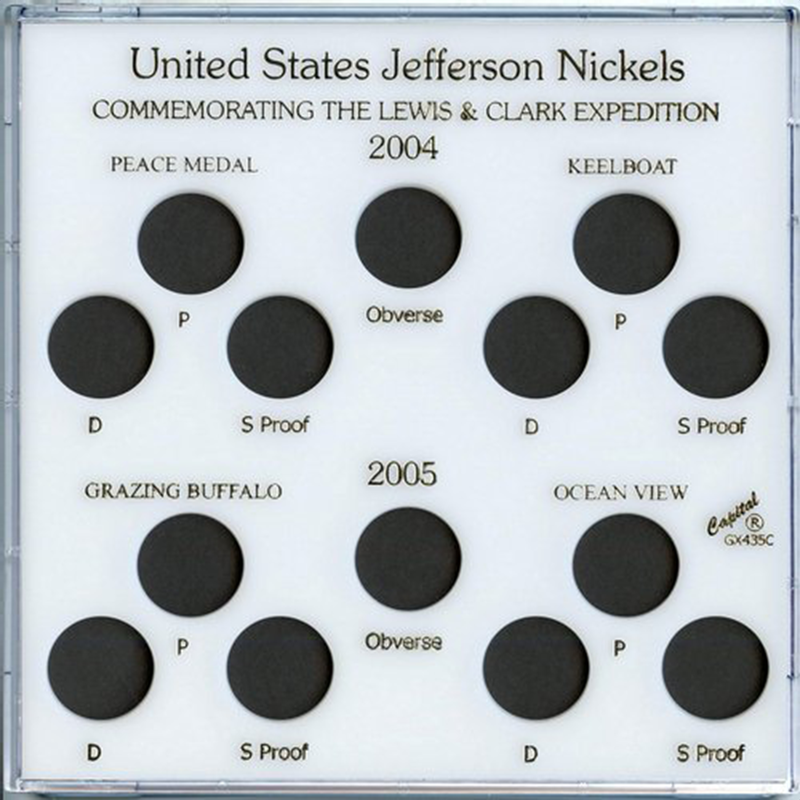 U.S. Jefferson Nickels 1990-2010 S. Pr. 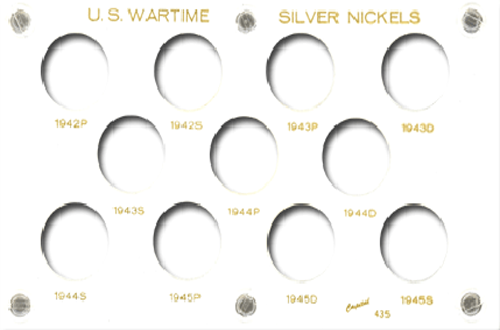 U.S. Jefferson Nickels 1990-2010 S. Pr. 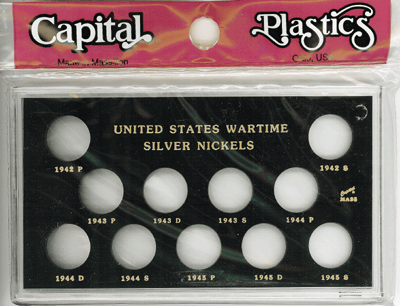 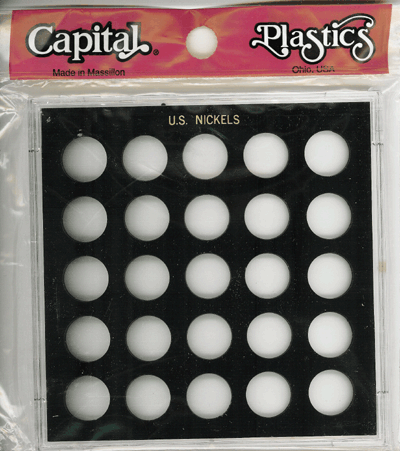 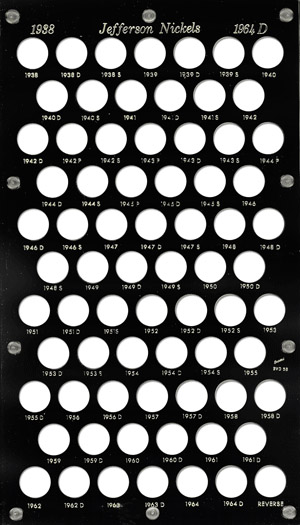 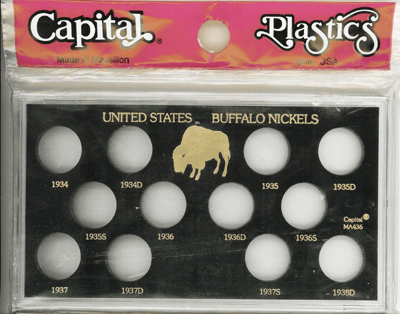 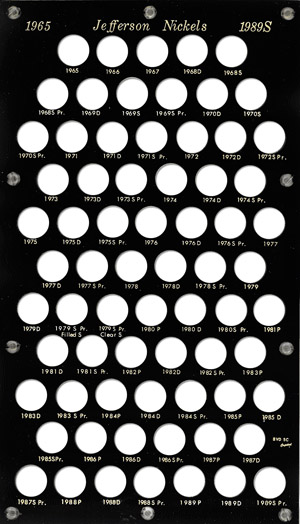 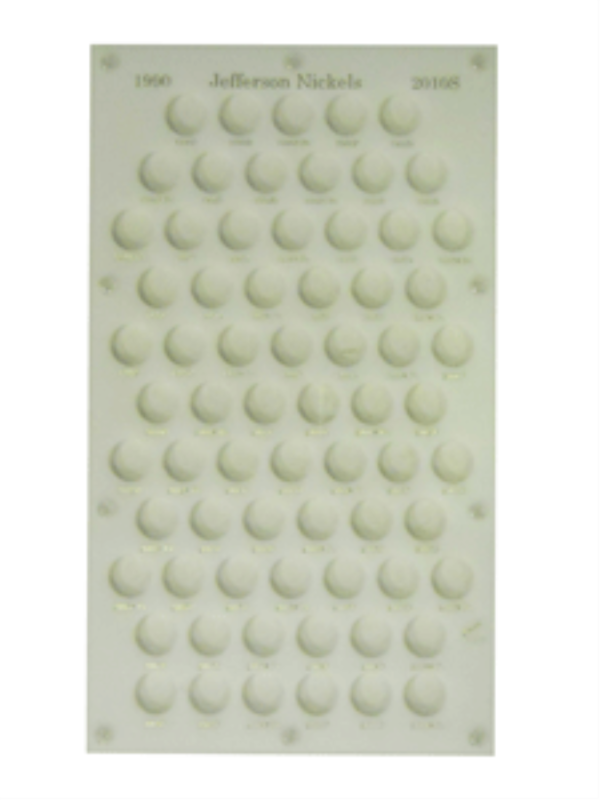 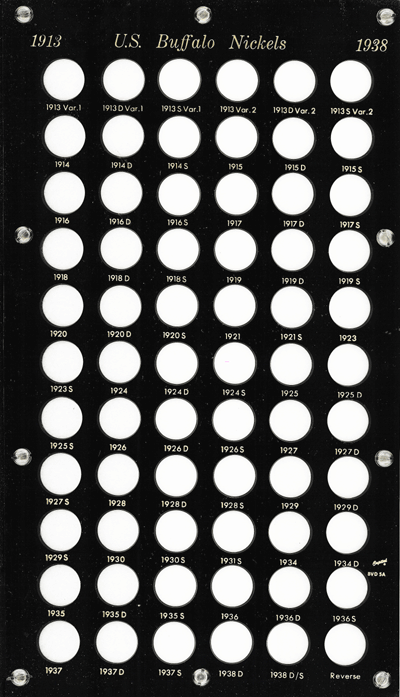 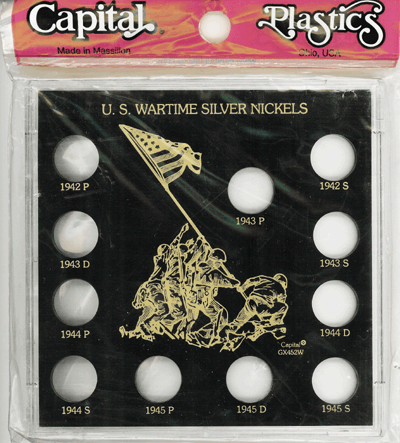 Model Size Color Pack Qty BVD5D 8x14 White 1 This is a white, 8x14, Capital Plastics holder that will display your U.S. Jefferson nickels dated from 1990-2010 S. Pr. 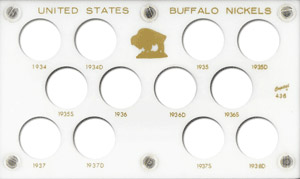 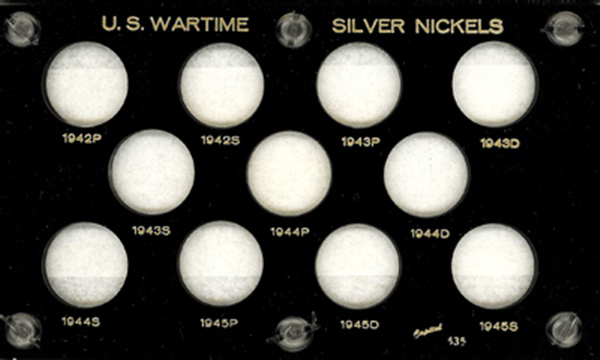 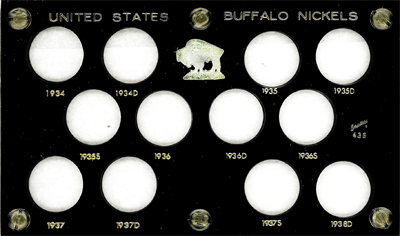 Has a total of 65 nickel slots. 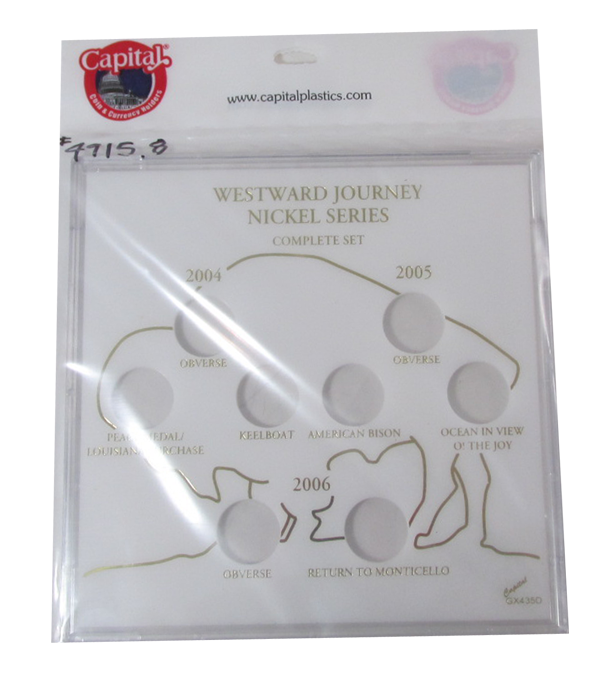 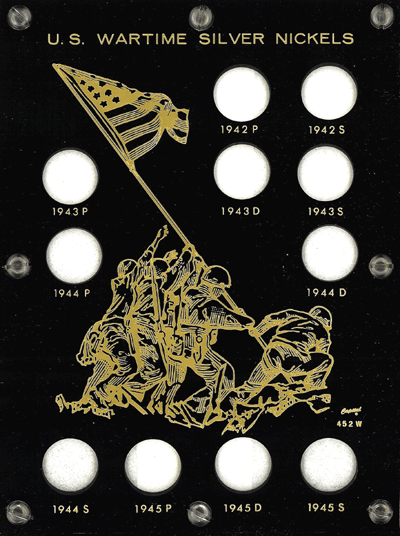 US Jefferson Nickels- Commemorating the Lewis & Clark Expedition Model Size Color Pack Qty GX435C White 1 This white Capital Plastics holder has 14 coin slots and will carry the 2004/05 nickels.